Welcome to something nearly impossible to find in Greenville - a brand-new, 1,232 square foot cottage home with exceptional quality and design, located in one the city's most sought-after neighborhoods. 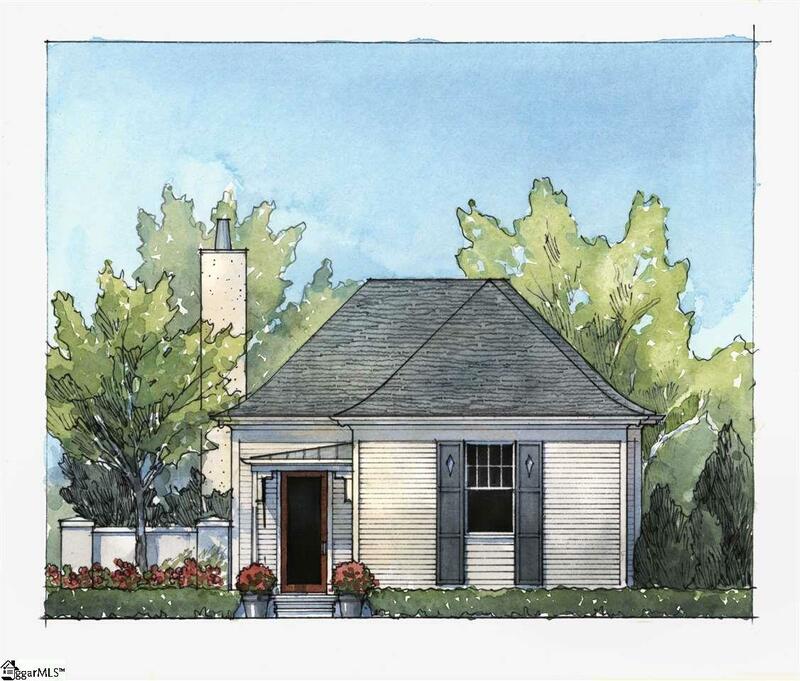 This is the Ivy Cottage at Hartness, created by renowned Atlanta designer Lew Oliver and crafted by Hartness Construction. Truly the perfect home for "right-sizing". Located in Hartness' new Cottage Courtyard enclave, this gorgeous 2 bedroom, 2 bathroom design is currently under construction, enabling you to customize your paint colors and interior finishes within the allowances provided for hardwood flooring, bathroom tile, appliances, counter-tops and much more. Interior features will include stainless steel appliances, stone counter-tops, custom designed cabinetry and hardwood flooring. 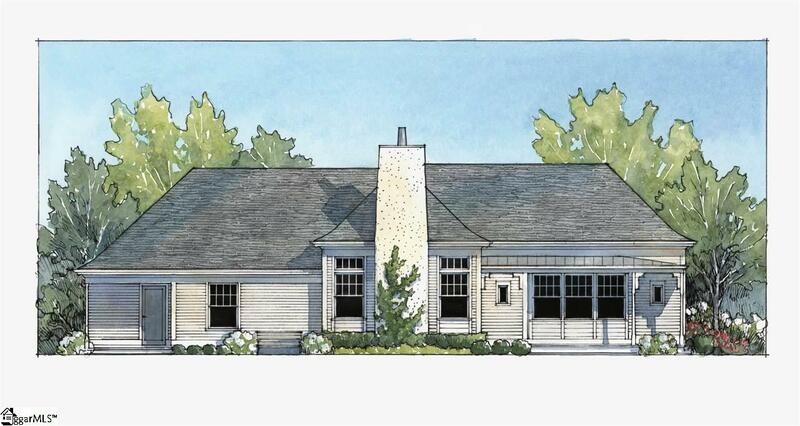 The exterior will feature Hardie-Plank siding and stucco along with a genuine cedar shake roof to give it a look in the English countryside vernacular. 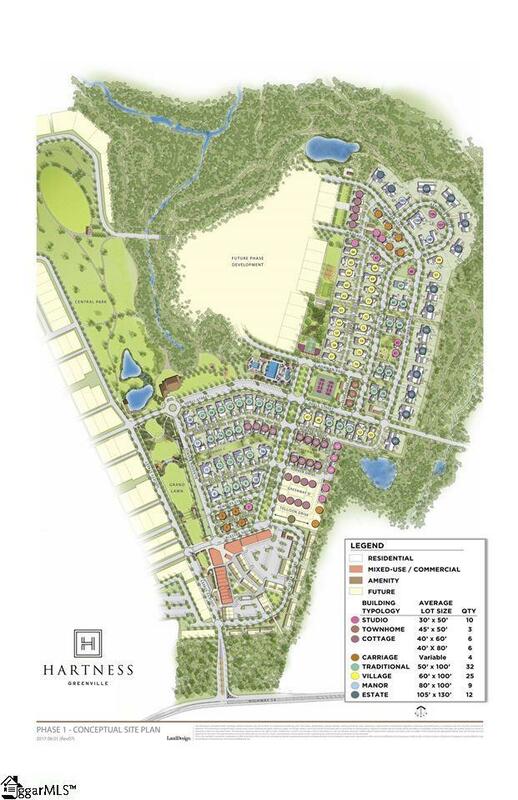 Hartness is the South's most exciting new Traditional Neighborhood Development and a place like nowhere else in Greenville, where "walkability" and connectivity to neighbors and neighborhood amenities is part of the fabric of the community. 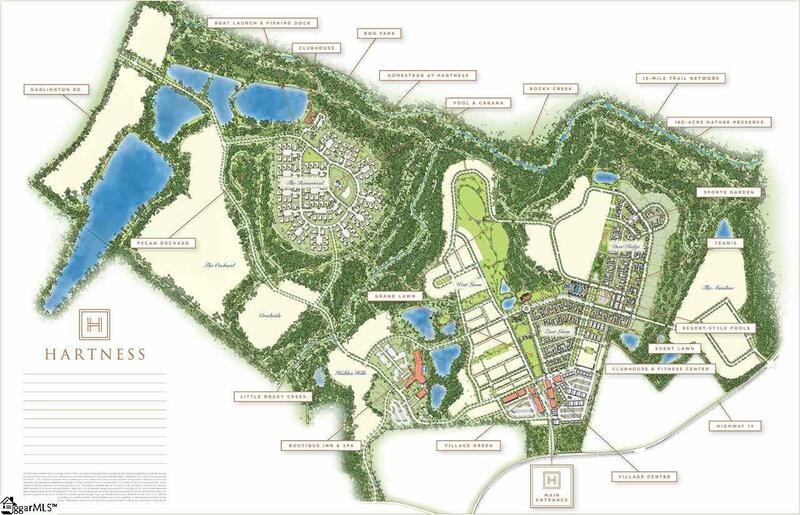 180 of its 450 acres have been placed in a Trust, protected from future development and ensuring Hartness residents will always enjoy their own outdoor playground full of trails, streams and lakes. Neighborhood amenities will include a Village Center with shops and restaurants, a world-class fitness center, a stunning pool complex, a luxury spa, tennis, pickleball, 15 miles of walking and biking trails and so much more.